I have just installed a out door reset to my lion 23 kw boiler . It is set to 120 f and tonite it has warmed out outside to -14 c .
I can confirm that the max water temp at the moment has been reduced down to 115 f ( according to my lil laser thermometer) . I do however have a few questions. I have 3 zones with 3 separate bell and gossett nrf 25 3 speed pumps all set to low. I’m running.4 ish gpm the system seems to run a lot , and the boiler will quickly fire all elements get up to temp them shut all off and repeat/repeat this over and over until the stat is satisfied. I’m wondering if I have too little water flow with too little water speed? 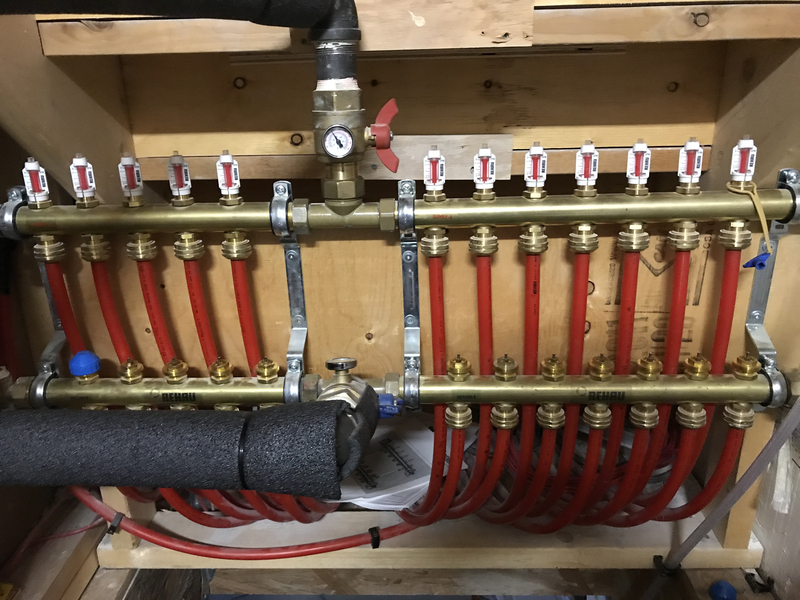 The main zone is 1/2 inch pex with 11 300 ft runs . How do I calculate head loss and compare it to the capability of my pump? Are you sure this is a flow issue? Sounds more like a malfunction or something configured incorrectly. IF the desired flow through each loop is .6 gpm. The head would be about 3.82' for a 300' loop. The question is the piping friction losses to and from the manifold. .6 gpm for 11 loops would require that manifold to receive 6.6 gpm. 11x.6 = 6.6. The NRf 25 on speed one with 6' of head would deliver 10 gpm. More or Less than that as we don't know the rest of the piping pressure drop. The boiler is about 76k which would need a flow of 7.6 gpm for a 20 delta.. Try speed two see if that helps, but speed one is right there. 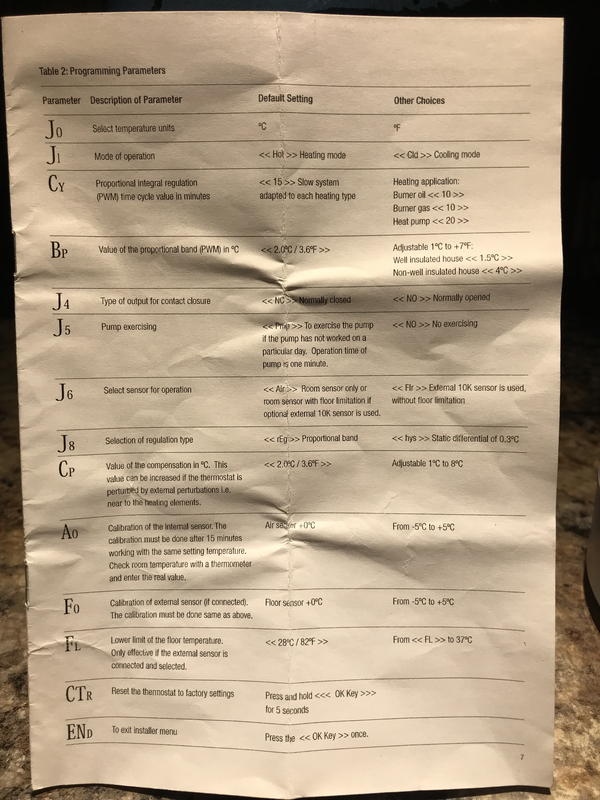 My apologies as I had to edit was looking at the glycol chart. I see 12 loops. What are the other two circs to? 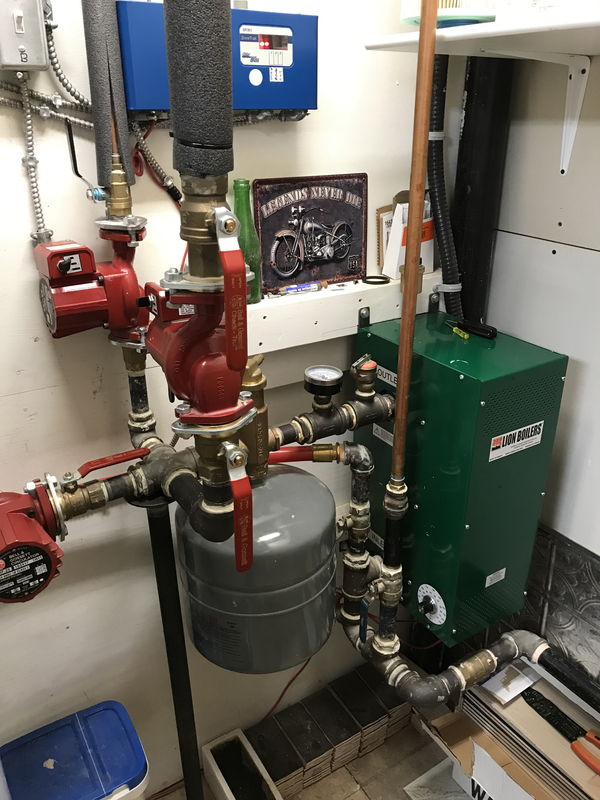 Never seen a 4 way cross used in hydronic piping before........ with three circulator pulling through it , that must be an interesting flow characteristic. CEB 23 model? Is the thermostat anticipator setting at .2? Thermostat on the wall for the room. If it's not that it's flow. You can change to higher pump speed see if it helps. The trouble shooting chart gives those to issues for rapid cycling. The elements are not staged on that boiler. It does not have a “ anticipator” setting that I can see in the menu..... am I missing something? I'm assuming the thermostat was properly set up. Do,you have the manual? 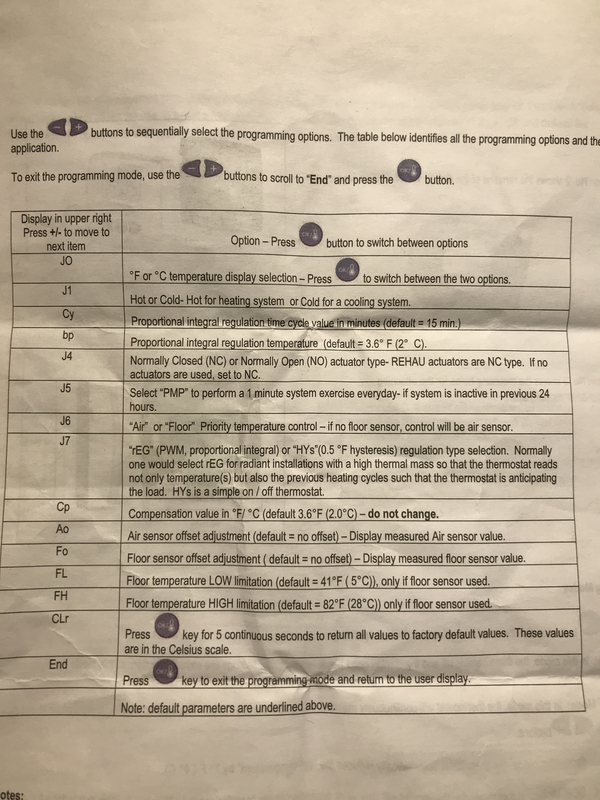 Write down what each input is set to as it is programmed now. Gordy ... sorry never saw you other question till now .... the pump in the centre of the pic feeds the entire house .. it’s 11 runs the 12th run on the left is not used ... it loops back and is shut off . The pump against the back wall runs my bonus room 900 sq ft with 3 /300 ft runs . The pump located towards the left side of the pic runs my attached garage. 5 runs /300 ft each . Those settings appear to be fine.